Collapsible for easier travel and storage. 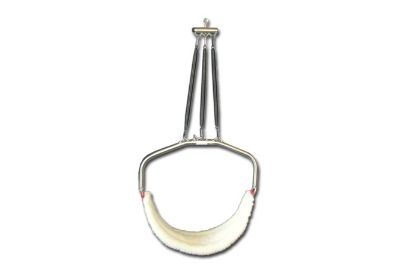 Longer lasting and safer round chestbelt shackles. Extra wool padding and wider chest chestbelt (stops folding). Wider spaced spring connectors for less tangle. Wing nut adjustment for extra width. Extra wool padding and wider chestbelt. Wider spread spring connectors for less tangles. 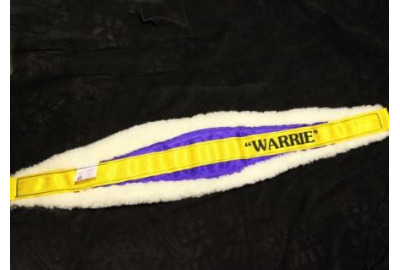 Spare belt for "Warrie" Back Aid.